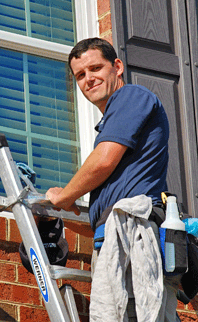 How Can I, The Homeowner, Keep My Windows Cleaner, Longer? The minerals in the water itself will be allowed to collect on the glass too - causing what are known as "hard water stains". These don't come off during normal cleaning, and sometimes they are etched so deeply into the glass that the only way of removing them is with harsh chemicals or polishers. Cyclone is equipped to handle this problem, but it's much better (and cheaper) to just avoid spraying the windows in the first place. We strongly suggest you choose our "Genius Package" with your window cleaning, which includes wet-washing of all screens. All of our packages include some kind of attention to the screens, since we will always dry-brush them to remove as much dust and debris as possible. This way, the wind or rain won't force all the dirt that your screens have collected right back onto the glass as soon as we leave. But even though this is very helpful, it does not compare to having your screens washed with soap and water. This will leave your screens truly clean, with no dirt on them which could possibly make its way back onto the glass - further lengthening the time that the glass will stay clean. When your filter gets old it fails to properly filter the air recirculating inside your home. This makes it much easier for dirt, dust, and airborne grime to settle on your window surfaces. Yuk! There's plenty of wise, logical reasons to clean your gutters in the spring or fall. But did you think of the fact that overflowing gutters will make your windows dirty? Yep, all that water sloshing over the edge of your backed-up gutter is going to splash mud and crud onto your windows again. Those are just a few handy tips to keep those windows sparkling nicely until your next visit from Cyclone Window Cleaning! Read enough? Convinced you need to try Cyclone's meticulous, courteous, matchless service for yourself? 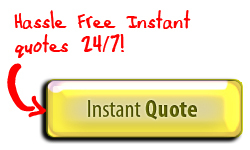 Then submit a FREE, Easy, Same-Day e-Quote now, or check out our window cleaning, pressure washing, gutter cleaning, or screen repair pages for more detail!